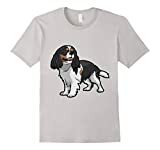 We love to review products that we think are suitable for Spaniels. We hope it helps you decide if this product would be suitable for your dog. What does the Chuckit Ultra Ball do? This is not like any other ball. 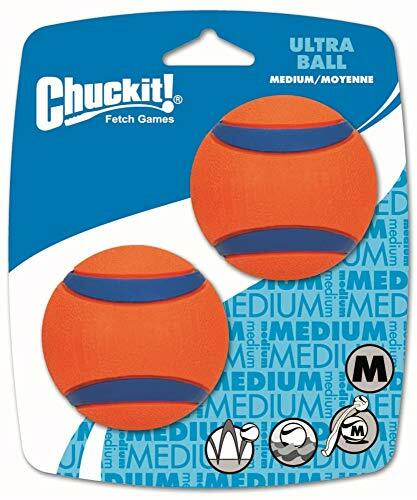 The Chuckit Ultra Ball has been specially designed for extreme fun. Simply put, this is the best ball a dog can have. It’s made from natural high-bounce rubber that gives it an extremely high bounce. Whilst also providing high visibility and high durability. This makes it absolutely perfect for a game of fetch. With its recognizable blue/orange coloration, it’s easy to see. This helps with locating the ball in long grass and elsewhere. What sets the Chuckit Ultra Ball apart from the competition? Unlike tennis balls, these Chuckit Ultra balls have no fuzz. Because of this here is no felt that can be chewed off. Being made of rubber they also don’t accumulate as much dirt. Because of this, it helps to keep your house tidy. The rubber design also allows them to be cleaned easily. The balls can be washed by hand or just placed into the washing machine or dishwasher. Another great feature is that the Chuckit Ultra ball can float. This makes it easy for dogs to grab in the water. You can just throw it in the lake or the pool and give your dog a really good workout that he needs. Does spanielking recommend the Chuckit! Ultra Ball? In a nutshell, it’s the best ball for a rousing game of fetch on land or water. This is spanielking’s favorite dog ball. 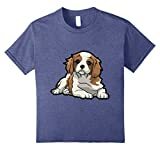 We recommend every dog lover to buy it. This is an excellent toy for your Spaniel. Have you tried the Chuckit Ultra Ball? Did you think it was as great as we did? Let us know what you think in the comments. If you think there’s a better ball for your dog let us know.